The latest in a line of cutting edge technologies that are providing 'shift changing' advantages in customer communication, mobile apps enable you to elevate your brand in the minds of your customers, as well as, significantly increase referrals and the uptake of your focus services or products. As with websites, not all mobile apps are created equal. High calibre mobile apps deliver the right combination of aesthetic design, functionality and usability - and with this, a genuine understanding of the application in which they are intended. 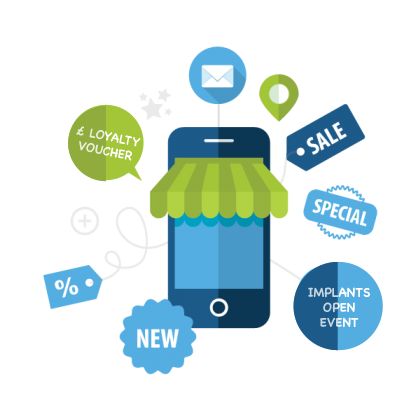 A custom mobile app to differentiate your business with the latest technology, from an affordable monthly amount - you could have the advanced app from Jump Digital Results! With over 15 years of marketing strategy experience combined with digital marketing expertise, we specialise in working closely with businesses to develop powerful mobile apps that are expertly designed, and passionately crafted using incredible technology that is trusted by thousands of businesses worldwide. Custom made to your exact requirements for iPhone/iPad (iOS), Android, Blackberry and Windows operating systems, you can ensure all of your key information is always close at hand for your valued customers. As the late great Steve Jobs of the Apple Corporation once said, 'Innovation distinguishes between the leader and the follower'. Mobile apps provide the ideal opportunity for forward-thinking practices to demonstrate this in their field of expertise. Our Mobile Apps have so many Useful Features! Manage business contact information such as details about your business (including opening times, address and location with driving instructions) and focus promotions. Inform customers with the latest product, services and promotional news directly to their mobile device via your business app. Quickly, easily and effectively gain more 'likes', 'followers' and encourage customers to recommend you to their social network. Remind Customers of Upcoming Events and Promote Special Offers/ Events - with pop up messages that appear on the front screens of their mobile phones. The best bit ? It's FREE to send , unlike the usual charge of an SMS! With Clever Management Software you will be able to view insightful reports and monitor the success of your app by reviewing how many calls, appointments and referrals you receive. 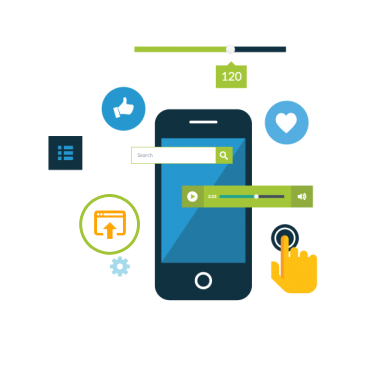 Creating your very own mobile app need not cost the earth. Let us create your very own business app, for an affordable monthly amount, without the need for huge development costs.